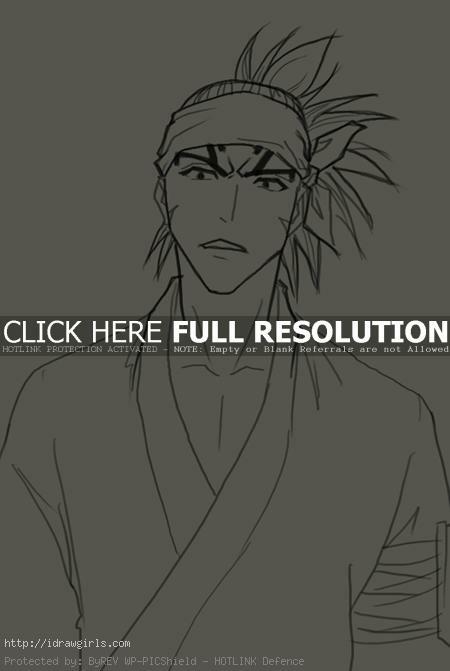 How to draw Renji Abarai from Bleach Manga. Learn basic drawing technique for Manga and Anime from step by step basic drawing lesson. In this tutorial you will learn to draw a Bleach character Renji Abarai with basic instruction for beginners or novices. Basically when drawing a character no matter what style of drawing you are trying to attempt. You should not try to make it too complex in the beginning, try to keep it simple. I usually look at the feature and try to break it down into basic geometry shapes like rectangle, oval, circle, etc. Do not let the complicated form intimidate or fool you. You have to look at the body of human form and break it down into the most simple shape that are easy for you to start off with first. Renji has brown eyes and long crimson hair, which is usually kept in a high ponytail. As a child, Renji’s hair-line was leveled. Later, he obtained a large widows-peak. His upper body is covered in tribal tattoos. Renji is quite dynamic. His personality varies from smug and cocky to disquieted and depressed after a major defeat, but shows himself to be an incredibly serious and determined fighter when confronted with an actual threat. Willing to fight, kill, and die for whatever he believes in, Renji is a dangerous man to those who stand in his way. 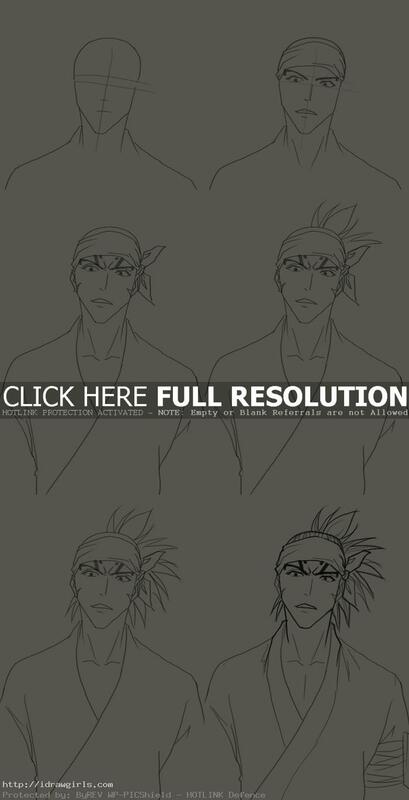 Below are step by step how to draw Renji Abarai from Bleach. Step one, I started drawing a head shape along with his shoulders. I also made mark up for his eyes, nose, and mouth on his facial structure. Step two, I then drew his facial structure over the existing marked up. Step three, I added his headband and top part of his Kimono. Step four, I then add some hair on his head all the way through step five. Step six, I cleaned up the drawing and add darker line to the figure.